When I was approached to do a guest blog on Lands Uncharted, I jumped at the chance. Because I used to blog here with these fantastic authors, it felt a little like coming home. I'm thrilled to share with you a bit about my story in the Fellowship of Fantasy's anthology Tales of Ever After. 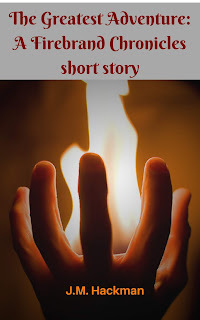 About six years ago, I began writing a series titled The Firebrand Chronicles. (Spark was the first book in the trilogy). My short story, “The Greatest Adventure,” is intimately connected to The Firebrand Chronicles. It’s a prequel that takes place many, many years earlier in the same location. I had no idea what I’d do with it when I began writing what was supposed to be an interesting backstory. But when Fellowship of Fantasy decided to release the fairy tale anthology Tales of Ever After, well, I couldn’t resist. After all, part of good world-building (something I’m still learning) is creating legends, folktales, and fairy tales connected to that world’s history. The main character of “The Greatest Adventure” is Aideen Siriol, a level five Firebrand. In this alternity, people receive gifts or abilities as they come into their teen years. Those gifts may range from the ability to control water, to a skill with weapons, to the ability to sense the moods of others. Many of them are visible, unlike our talents here on Earth that aren’t always easily spotted. Aideen’s exceptional talent to manipulate fire enables him to use it for healing or destruction. He becomes known throughout the Jasper Territory’s history as one of the greatest Firebrands. But “The Greatest Adventure” doesn’t start there. It introduces us to Aideen as a young man who’s anxious to see more of the world than his small hometown where he grew up. (I can just hear Belle singing, “There must be more than this provincial life…”) When his instructor sends him on a quest to save an abducted princess, Aideen is thrilled with the chance to travel, as well as assist a damsel in distress. He jumps on his griffin Lysander and flies to the Fallon coast to help. But rescues are tricky businesses. Add in dragons, and the rescue becomes dangerous. After all, none of the other men sent to find the princess came back alive. 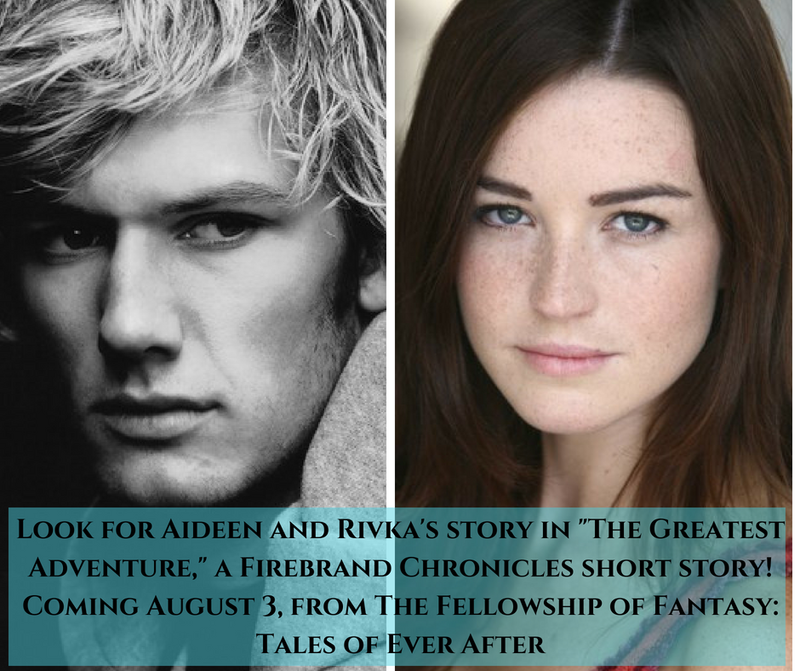 The tale of Aideen Siriol is mentioned in the series, but Brenna (the main character and a Firebrand herself) never hears Aideen’s full story, so readers actually learn more about his greatest adventure than Brenna does. Perhaps I’ll have pity on her and have her learn the whole story in the last book. Spark came out in May 2017, and the sequel Flare is coming soon! The last book is finished, but I’m currently revising it. In the meantime, I hope readers enjoy “The Greatest Adventure.” It was great fun creating a fairytale connected to the series. Would you like to know more about the anthology? Follow this link to find the blog tour schedule. And finally, would you like the chance to win a prize? and for our International fans, follow this link to win an ebook in your format choice. Glad to have you back on the blog, Jill! I enjoyed reading The Greatest Adventure and, now, seeing the character images.